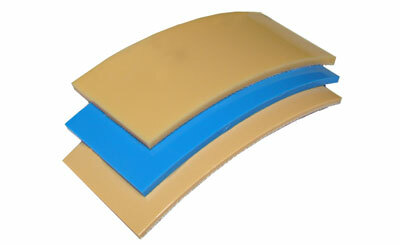 Shingle Polyflex conveyor belting is a solid extruded elastomeric resin that outperforms conventional food grade Nitrile, PVC or Urethane fabric belts. 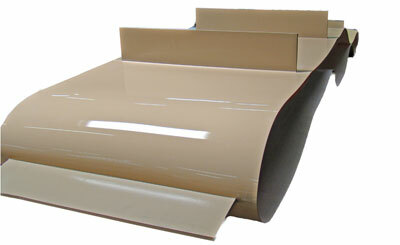 Polyflex SR Series is fabric reinforced to minimize elongation. 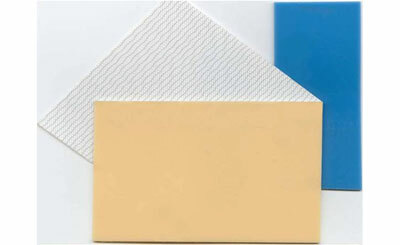 Available in tan and blue- blue Polyflex is used for differentiating product color from the belt color and to reduce eye strain. Because Polyflex is non-porous, it will not absorb oils and fats which provide a breeding ground for bacteria and fungus build-up. in. mm lbs/in N/ mm in. mm in. mm lb/sq. ft. kg/ sq. mtr. in.